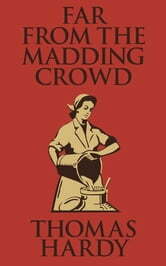 Hardy’s fourth novel and first major literary success tells a story of love in all its guises. Gabriel Oak is a shepherd struggling to get ahead when Bathsheba Everdene moves next door. Though he loves her, she sees him as a friend and rejects him for two other suitors. After she leaves town, she and Gabriel are reunited years later, though now everything has changed. Hardy depicts the English countryside as idyllic, but also hard and unforgiving, much like the Victorian mindsets of the day. A timeless literary love story. A Doll’s House: With 15 Illustrations and a Free Audio Link.